David Toney is an actor. David Toney's recent filmography includes the movies The Thomas Crown Affair (1999) and Lonely in America (1990). His most popular track on Spotify is "Broken Hallelujah" from the album Broken Hallelujah (Songs for Sunday Mornings (or Other Times Also)). There are about 2 movies featuring David Toney as of 2018. Some of the most recent David Toney movies include The Thomas Crown Affair and Lonely in America. 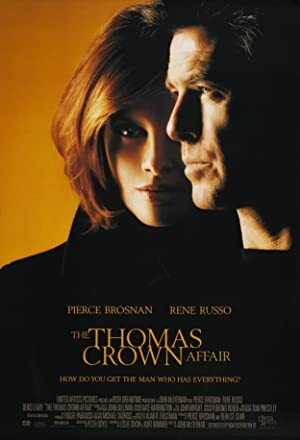 David Toney appeared as Museum Security Guard in The Thomas Crown Affair, released in 1999. Lonely in America, released in 1990, featured David Toney as Duncan. As of 2018, David Toney has 40 followers and a popularity score of 0 on Spotify. Broken Hallelujah (Songs for Sunday Mornings (or Other Times Also)) and Horizon Line are some of the more popular David Toney albums. Notable tracks from these albums include Broken Hallelujah, You Are Loved, and Breath Departs. Broken Hallelujah is the most popular track from David Toney, scoring 2 out of 100 on the popularity scale. You Are Loved and Breath Departs have popularity scores of 0 and 0, respectively. The Spotify popularity score is on a scale from 0 to 100 and reflects the number of times the song has been played and how recently it has been played.